This is very simple trick as easy as 123.For having a look at what your girlfriend or your friend is hidding anything from you ,then follow these simple three step process to find hidden files from command prompt. Hidden files can be accessed by external softwares which let you to do but if and only if you have admin rights you can use this trick to see hidden files in any pc .The only condition to have glimpse on hidden content is it should be a windows operating system and can be of any version. This trick is very special because you can have control even drive you want to seaarch for hidden files are protected with BIT LOCKER.Most hackers use command prompt to hack computers because they are not GUI and can have access on every directory of computer.I have tried this in every computer and successed. 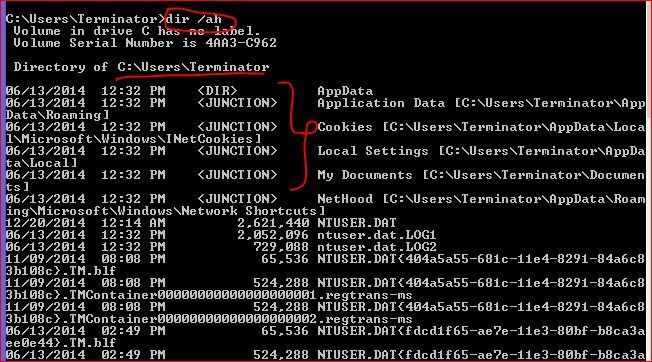 Type the below line as it is in command prompt in order to know the path of hidden files from command prompt. This is very good trick to see all hidden files .In order to check files n other drivers just change directory to which you want to see . you are in C drive and want to change to E drive then simply type E: (THEN PRESS ENTER ,YOU WILL NOW AT E DRIVE). Share ,comment subscribe ….thanks for reading….